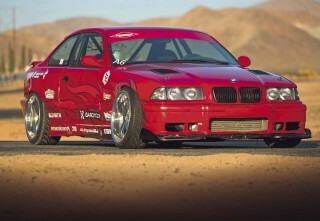 The reborn identity 1JZ-swapped drift BMW E36 M3. When the motor blew in his E36 drift car, Palmer Sanderson came up with an offbeat solution. Is it sacrilege to put a Toyota 1JZ in an M3? Nah, it’s all just part of the fun… Words: Daniel Bevis. Photos: Adam Rous. It’s a common trope in TV and movies, the moment of realisation that something’s amiss. When Hank Schrader figures out that Walter White is Heisenberg; Tim Bisley realises he’s got some Jaffa Cakes in his coat pocket; Kevin McCallister’s mum suddenly remembers to count her children after the plane is airborne. It’s the drop-your-coffee-cup moment that spins the plot on its head, and it works perfectly every time. Now, with this E36 there are quite a few things amiss, as you can see. But one of them is a really big one. Yes, there’s all sorts of camber and it’s fairly obvious that it’s a drift machine, but the real rugpull is under the bonnet. 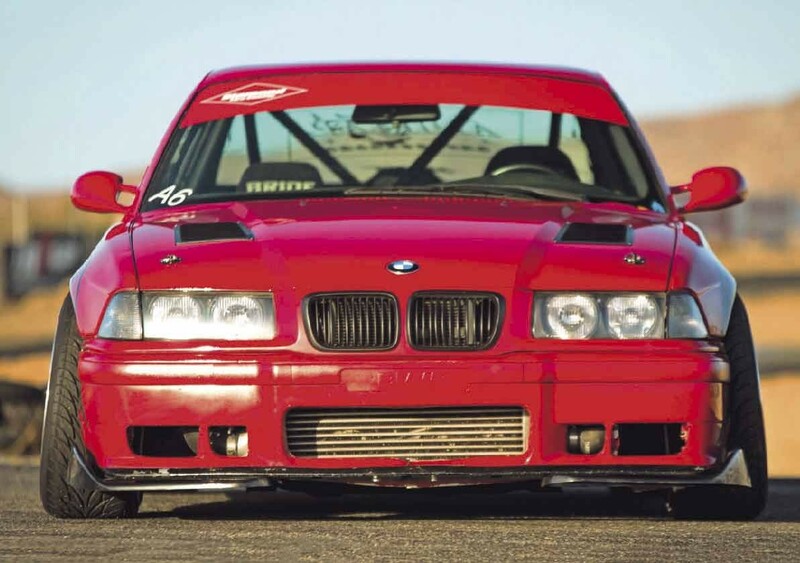 It’s running a straight-six, as an E36 should… but it didn’t originate in Bavaria. 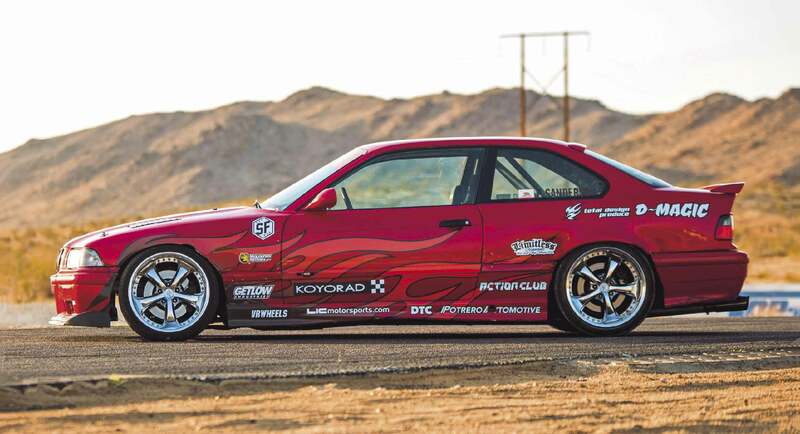 That’s a Toyota 1JZ, that is – in a genuine M3. It was Earth all along! Einhorn is a man! Those aren’t pillows! All of this has been a long time coming for its owner, Palmer Sanderson. He’s been into racy motors for as long as he can comfortably remember: “My father hates BMWs, so naturally I was drawn to them,” he grins. “I grew up watching BTCC and all the other Touring Car variants in the ’90s, the wheel-tuck-sparks-around-the-track era which is my favourite. Hence having a Mercedes-Benz 190E W201 as my first car; I wanted a Cosworth 16V but my budget said otherwise. I jumped it over railroad tracks and put lots of stickers on it, like any teen, and it was even in a rap video doing poorly executed open-diff doughnuts.” The seeds were planted early on, then – and Palmer went on to own a bunch of Japanese cars in order to fuel his lust for making things go noisily sideways. There was the non-Evo Lancer, which he describes as ‘embarrassing’ (although he still competed in Time Attack in it), and then an S13 Silvia that got him into drifting. So what prompted the switch to this E36 M3, his first BMW? There’s something wonderfully logical about choosing a car by means of a spreadsheet, although the decision was naturally informed by passion too; having grown up listening to hip-hop, Palmer had heard enough references to the M3 to know that this was the E36 he needed in his life. And brilliantly he managed to find one for sale for next-to-nothing – although as you’d expect, it was in a bit a state. The seller had stripped it down for track use, but then given up on it. “The car was in the mountains of Napa Valley,” says Palmer. 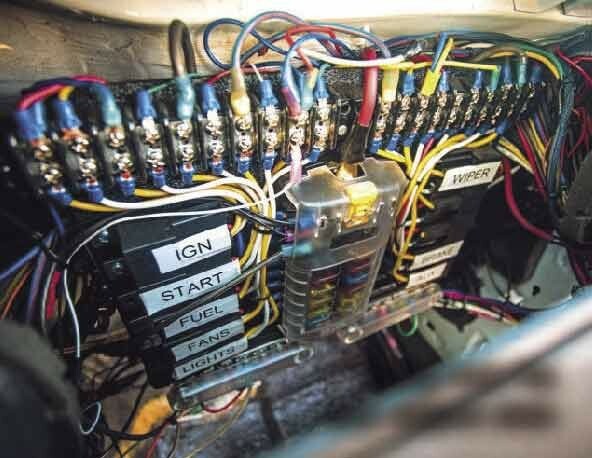 Things started to come together pretty quickly, as – being such an organised guy – Palmer had the build all planned out months before he even bought the car. Well… most of it, anyway. In no time at all, he’d fitted the Felony Form wings, a fresh coat of paint with a drift-tastic livery over the top, and he was quickly making waves in the local drift scene. However, after a few events, the M3’s S52 engine decided it didn’t want to play any more and the head cracked. This changed the direction of the project somewhat. “The S52 is fine, but it’s not the motor an M3 should have, so I had little remorse in throwing it away,” he muses. “We don’t have the same motor for the M3 in the US, it doesn’t sing like the S50B32 – and anyway, most of my contacts are in the JDM world, and I’ve always loved the sound of a Toyota 1JZ.” Decision made then, and Palmer was typically keen to get stuck in, grappling with various different formations of engine mount, and getting the transmission to adapt happily; trial-and- error, and all with a very clear goal in mind: “The purpose of this build was to be reliable, simple, and easy to fix at the track,” he assures us. He was fastidious in perfecting the details too; this was no thrown-together lash-up, but something that had to be bulletproof. 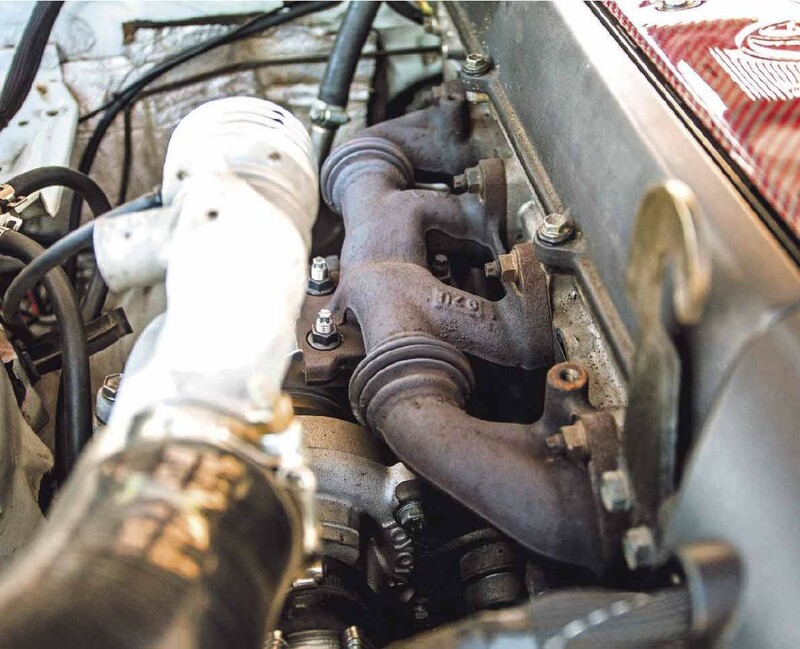 The CT15B turbo was sent away to be bored-out for a bigger billet wheel on both inlet and exhaust side, with the housing ceramic-coated to keep the heat in check, and Koyorad were tapped up for the radiator and oil cooler. Palmer stalked through the wiring with ruthless efficiency, simplifying and perfecting as he went, and with Alex of Limitless Motorsports getting all the wiring back in and Hexa Garage taking care of the straight-through 3” exhaust and roll-cage fabrication, the rejuvenated E36 was hot to trot. “It was a long road with lots of frustrated phone calls to friends, busted knuckles, tired days at work, and tired eyes from reading,” he recalls. “I’d never attempted a swap like this before, and with the small amount of these swaps done there wasn’t much information online. Would I do it again? Yeah, in a heartbeat – this chassis with this engine is an amazing combination,” grins Palmer. The purist haters are presumably frothing themselves into a frenzy by this point, but Palmer’s having too much fun to care. He built this for one person and one person only: the guy sitting behind that deep-dish Key’s Racing wheel. 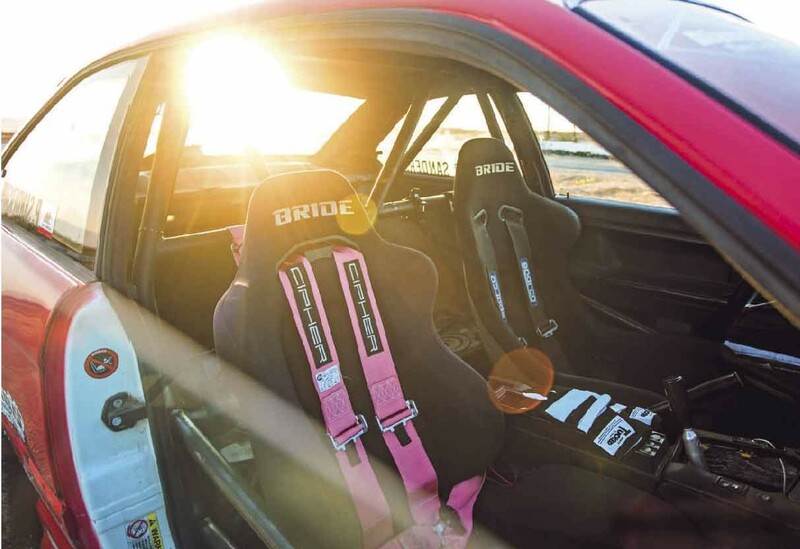 And he’s sitting pretty too, in a Bride Zeta III L seat which was sourced, along with the Bride Brix that accompanies it, from a buddy’s Formula Drift car. Again, he’s a details man, and the provenance of these things matters a great deal. He’s not averse to the odd wheel swap either: “I change wheels a lot, I’ve had three sets of wheels on this car so far,” he says. “The Work VS-KF wheel is classic, it looks good on almost anything. Most importantly they look awesome in action or in photos during drift. I re-barrel wheels myself pretty often, and I found a good set for doing so in Japan so I ordered them, separated them and assembled them in the specs I needed with parts from VR Wheels. I destroyed the front rims at the event my car was shot at the day after the photo shoot, so I’m on a completely different set now!” he laughs What’s particularly important to Palmer is that this is the first project he’s undertaken where he wasn’t taking things he didn’t really like and trying to make them look good – there was a plan in his head, and he ensured it was done right. The Felony Form wings were a pivotal mod, as they allowed the car to be lowered a huge amount and still fit some hugely wide wheels. 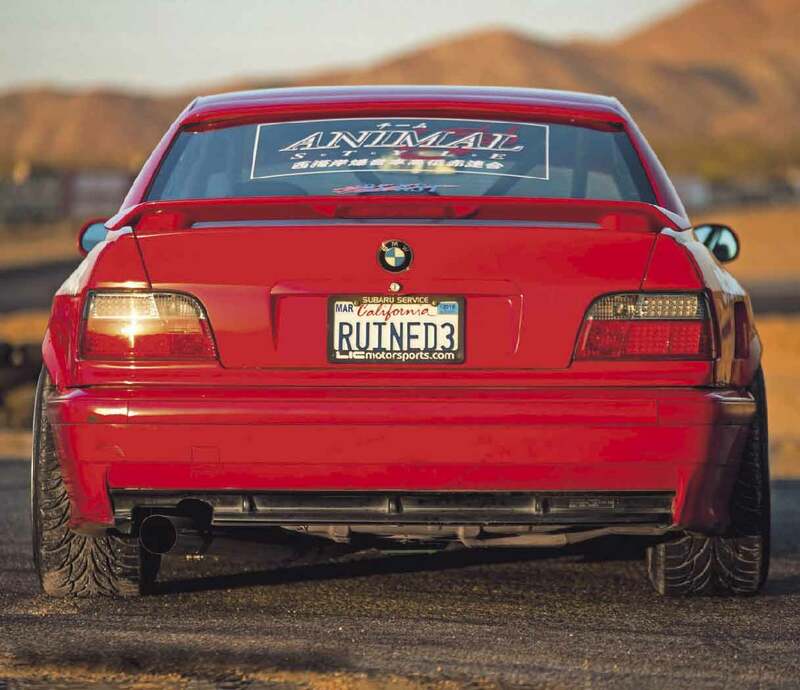 Meanwhile, the colour scheme of the body has a nice story behind it; his previous drift project had some lacklustre flames painted on, so the custom D-Magic livery on the E36 evokes that memory, as well as flying the flag for his various parts suppliers and his drift team, Animal Style. And that shade of red? THANKS I want to thank (in no particular order) my family for supporting me if and when they can, my girlfriend Shelmi Liang for putting up with me, all my friends who lent a hand or opinion, my team and friends from Drift Team Animal Style holding me to a high standard, Michael Biglands at D-Magic and Matt Madrigali for designing and cutting my vinyl, Alex Hsieh from Limitless Motorsports, Koyorad for keeping me cool, VR Wheels for getting me the parts I need for my wheels, Wolfreign Motors for shipping parts back from my Japan trip, Nick at Touge Factory, my friends at LIC Motorsports, everyone at Diamond Tire Center for making sure I always have rubbers, Thao and Matt at Street Faction, the guys from Broken Aero, Jeff Chan at Potrero Automotive, Adam Rous for deciding my car was worthy of photos, Performance BMW for printing my humble garage-built drift car, and everyone who doubted this build. Wiring loom has been stripped down. GReddy front-mount intercooler. 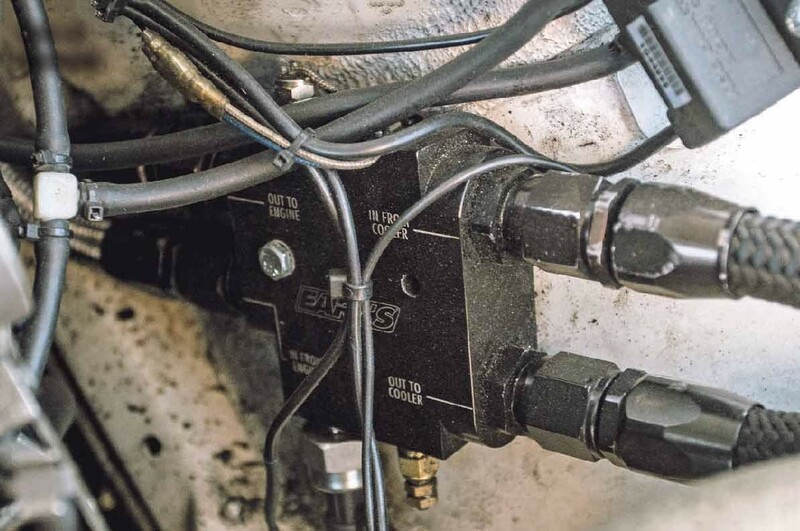 Earl’s oil thermostat. 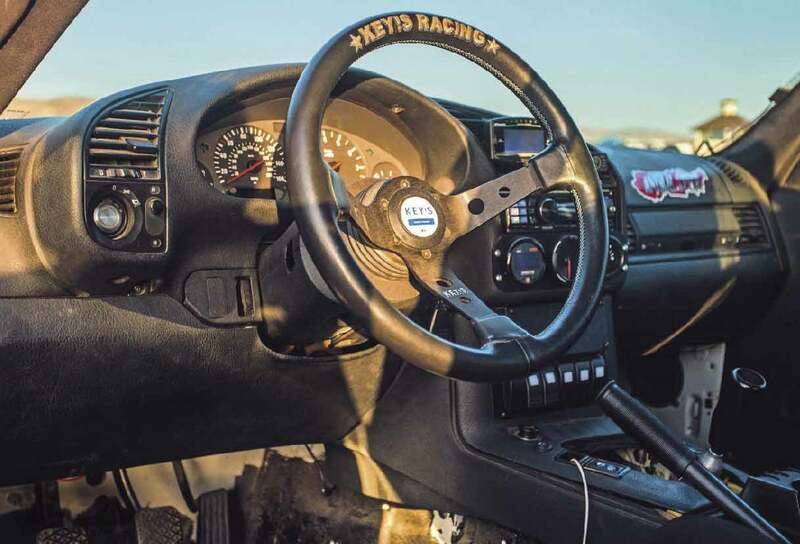 Key’s Racing steering wheel. 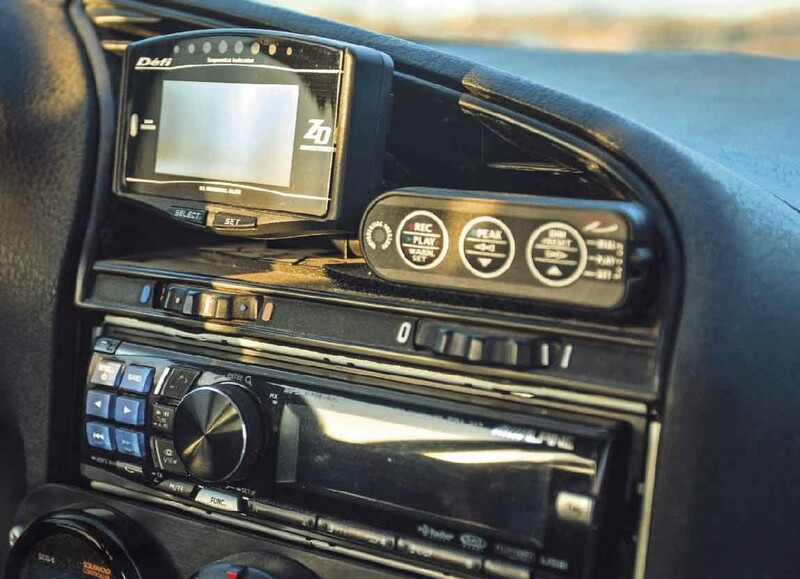 Defi Advance ZD multi-display and Bride buckets up front additional gauges. The number plate says it all, and we love it. Volkswagen Type 34 analysis Found an unmodified UK car? Then pounce.